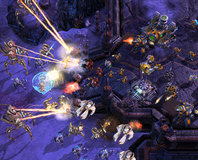 Activision Blizzard has announced that the upcoming StarCraft 2 is to be split into three different games, with one game focusing on each of the three campaigns in the story. The decision, which was made at the very end of last year according to StarCraft 2, will mean that the games should be released later, but more regularly. The series will be titled Terrans: Wings of Liberty, Zerg: Heart of the Swarm, and Protoss: Legacy of the Void. According to Blizzard the decision to release the game in this way was something that had nothing to do with the Activision merger which and was more to do with the fact that, if Blizzard hoped to release StarCraft 2 as a single game then more and more cuts were going to be needed. Terrans: Wings of Liberty will be the first game in the series to be released, with Blizzard saying that it could be a year or more between each title. Bear in mind that that's in Blizzard Time however - in normal time that could translate into decades. Blizzard has promised that each game will be utterly standalone and will include around 26-30 singleplayer missions. Each game will also have a standalone multiplayer element and will also have unique units and multiplayer expansions. The release date for the game is still a vague 'next year'. Does the split into three sound good to you, or would you have preferred to have a single, larger release? A benefit for better gameplay or simply more money grabbing by Blizzard? Let us know what you think in the forums. 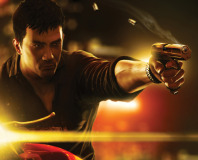 Activision has cancelled True Crime: Hong Kong, claiming 'it wasn't good enough'.